We are a British & Irish professional horse racing tipping service who successfully provide long term profit for our members. Elite Racing Advice is a horse racing tipping service with the simple and successful aim of making long term profit. 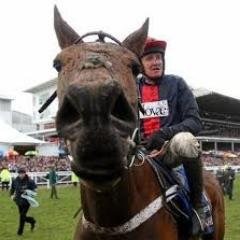 It is ran by two experienced racing tipsters and enthusiasts and uses a combination of our well established connections in the racing industry, including top trainers and jockeys, along with detailed form study and value seeking for picking selections. ​Between us at Elite Racing Advice (Dan & Ben) we have followed and loved horse racing for numerous years, own horses, visit various stables speaking to trainers and jockeys regularly and attend race meetings frequently, all of which helps give us an edge over the bookmakers and enables to make consistent long term profit on the sport as we have now done for over 3 years. Our horse racing tipping service provides selections most days, posted to our customers in a private Facebook group, private Whatsapp group, individual whatsapp broadcast messages and by email on the morning they take place. Members are welcome to all or one of the methods of course. Please feel free to explore all areas of the website and join us on Facebook, Twitter and Instagram. Check out our latest results spreadsheet right here! CHECK OUT OUR CHELTENHAM FESTIVAL 2019 RESULTS RIGHT HERE! Sign up and join a winning team here! As can be seen from the results page we have achieved impressive amounts of profit and ROI figures since we began running our service and have continued to go from strength to strength. Between us we have been using our unique form based model along with tireless hard work and a few extremely well connected contacts to make a profit from horse racing gambling for several years now. It was from October 2015 that we began to publish our selections using our points based staking plan and we haven't looked back since amassing over 600 points profit at 12% ROI. During this period we've also achieved some extremely notable results at big festivals including Cheltenham & Aintree 2016, The Breeders Cup, Royal Ascot 2016 & 2017 & most recently Cheltenham 2017 and 2018. Like what you see? Sign up here for just £85 for 3 months subscription! Don't hesitate to get in touch and join a winning team!